MENLO PARK, Calif.--(BUSINESS WIRE)--Wing Venture Capital announced today that it has closed Wing Two, its $250 million second fund. Wing Two has the backing of some of the world’s most sophisticated investors, including premier universities and private foundations. 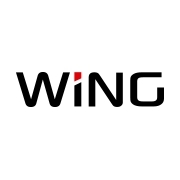 Wing is the best-of-breed venture capital firm devoted to early-stage, long-term company building in business technology. The firm was founded in 2013 by Gaurav Garg and Peter Wagner, two veteran venture investors whose collective body of work includes dozens of successful early-stage companies, 16 of which went on to achieve billion-dollar-plus outcomes following IPOs or acquisitions. Prior to launching Wing, Gaurav and Peter were Partners at Sequoia Capital and Accel Partners, respectively. Notable companies they have helped build and finance include FireEye, Jasper Wireless, Redback Networks, and Nimble Storage. Creating companies that matter in business markets requires a fundamentally different approach from building consumer-focused ones, and everything about Wing has been optimized for that purpose. Drawing on its extensive experience, the firm has developed a proprietary method to help entrepreneurs build strong strategic foundations from the outset, and continues to be an essential partner as their startups scale to IPO and beyond. Another core motivation is the digital transformation of business driven by the combined forces of Data, Mobile, and Cloud. This is allowing startups to challenge incumbents in a wide range of categories, from cyber security to AI-powered enterprise applications and cloud-native infrastructure. Wing’s first fund, which was raised in 2013, has 13 core investments as well as a seed program. The firm’s portfolio companies include Cohesity, Moogsoft, Palerra (recently acquired by Oracle), Juvo, Instart Logic, and Shape Security. The launch of Wing Two will enable the firm to play the pivotal role of lead investor in more startups that are creating new markets, or redefining existing ones. Founded in 2013, Wing Venture Capital is the best-of-breed venture capital firm devoted to early-stage, long-term company building in business technology. Wing emphasizes craftsmanship over volume, and engages deeply with founders to help them create companies that matter. The body of work of Wing’s award-winning team spans more than two decades and dozens of successful early-stage companies, 16 of which went on to achieve billion-dollar-plus outcomes following IPOs or acquisitions.